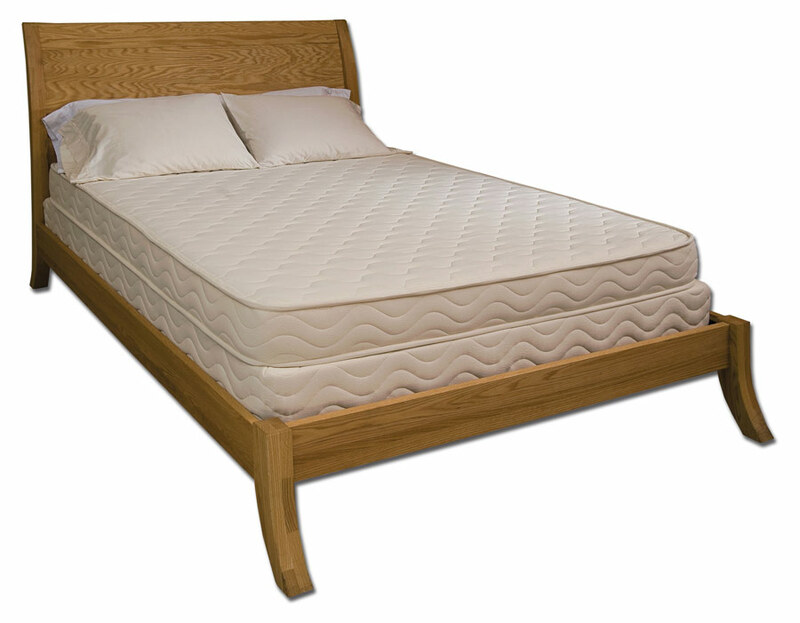 Amish Beds and Furniture | The Organic Mattress Store® Inc. If you are looking for a bed that commands the room, you’ve found it here: the great looking Manhattan panel (shown), or the Manhattan Slat bed. Constructed of solid Quartersawn Oak, Maple, Walnut, Ash or Rustic or Plain, or rustic Cherry,Hickory,Hard Maple,Elm,with a slightly curved headboard and straight, or curved footboard legs, it gives any bedroom panache. Available unfinished… or with two coats of hand-rubbed organic linseed oil stain. Made by German Amish master-crafters of North American hardwoods, it will last for generations with solid hardwood slats for support and a metal-on-metal corner connection frame assembly for added strength and durability. Made in Ohio. PRICES INCLUDE FREIGHT SHIPPING TO ALL STATES BUT ALASKA, AND HAWAII. Assembly available depending on shipper. Please call for a price quote. This Amish Built Drawer has no formaldehyde in the bottom, top or sides, and is made of solid wood. Each Drawer slides out on rollers. Heavy duty construction. These Drawers can be used on any of the wood beds we sell. These drawers can be used for any wood bed you have now as long as the height from the floor to the underside of your bed’s side rail is not lower than 8″. The drawer depth is 26″ and the height is 8″. Length varies by bed. Call for prices since each Drawer unit has different length dimensions. Available unfinished… or with two coats of hand-rubbed organic linseed oil stain. In today’s market a lot of manufacturers of drawers use cheap drawer bottoms. 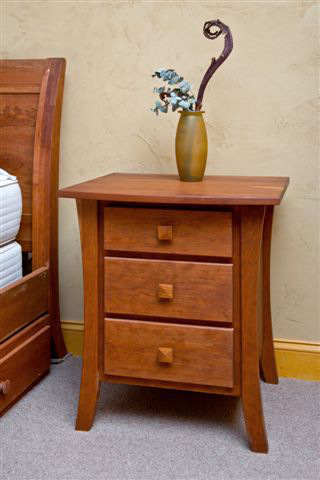 Its nice to know that The Amish are using only solid wood in there construction.This is fine bedroom furniture. 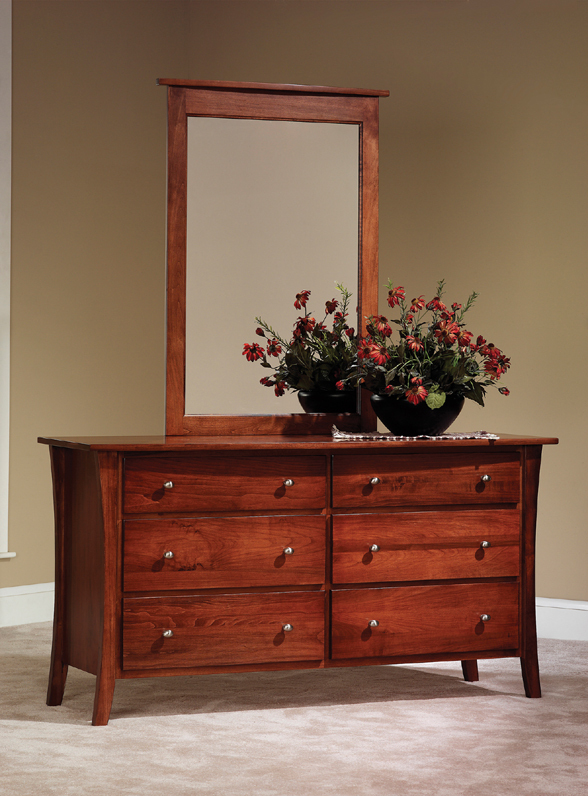 What about adding a dresser with or without a mirror to your bedroom furniture. The construction of this particular product meets and exceeds all of todays safety product standards for bedroom furniture. No particleboard, formaldehyde or soy based products are used, just solid wood. It comes unfinished or finished with 2 coats of light organic Linseed oil stain. All fronts, tops, sides, bottoms, backers, drawer bottoms, braces and partitions are made with solid wood. This is fine bedroom furniture. Features of a fine piece of bedroom furniture. 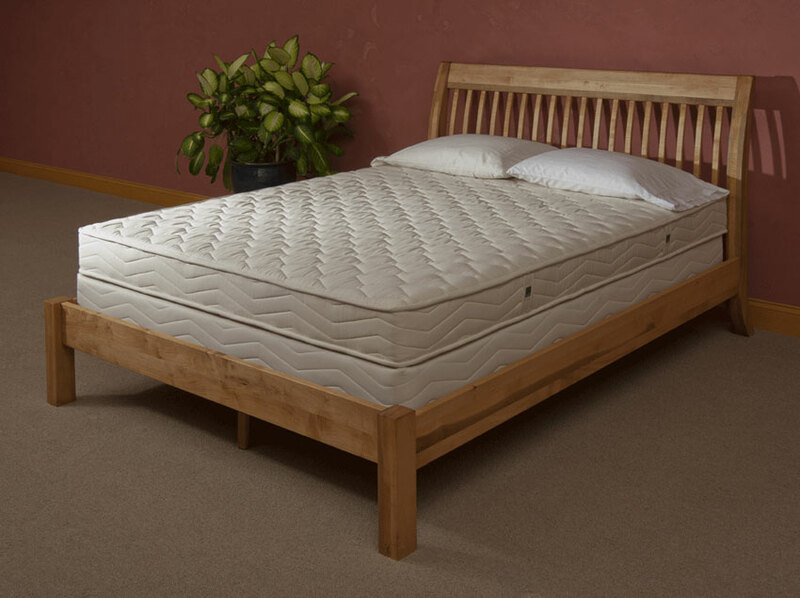 Our manufacturers chest of drawers will compliment any mattress set you might have. 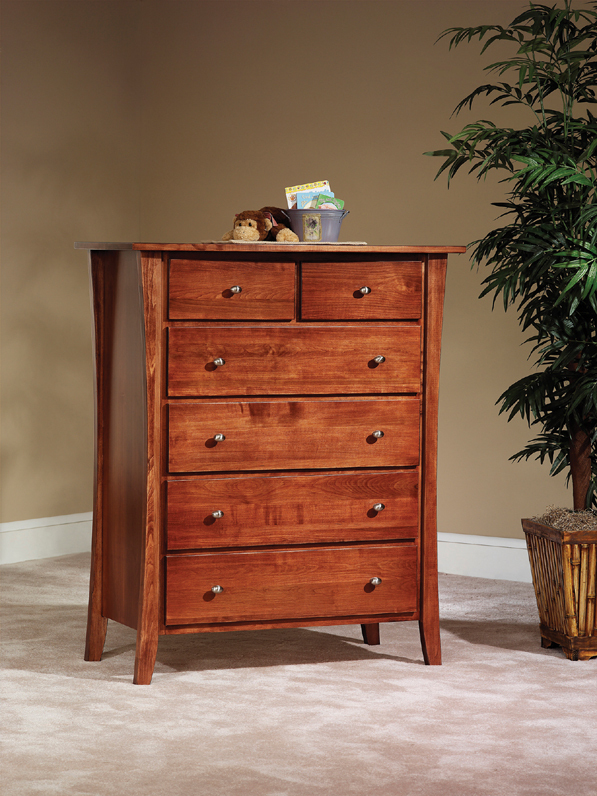 This bedroom furniture product has 6 drawers, 4 big ones and 2 small ones, and are hand crafted and assembled by the Amish in Ohio. 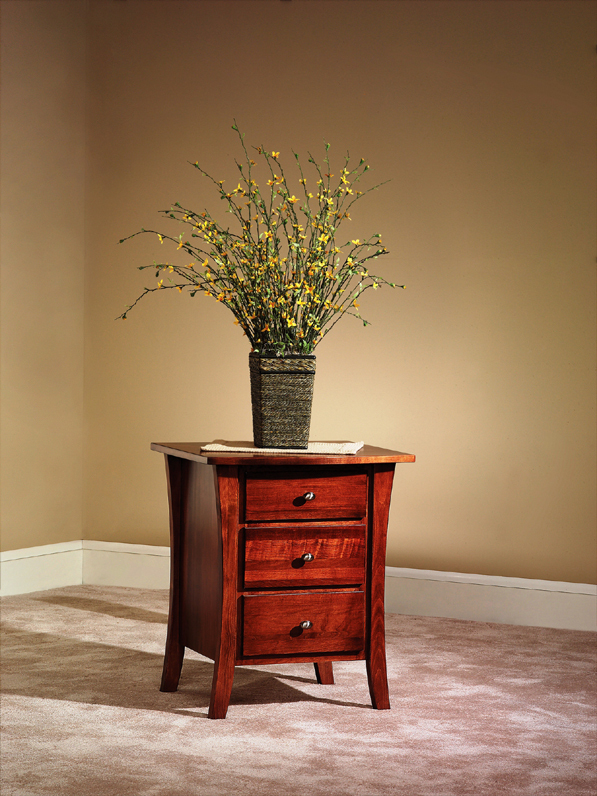 This chest of drawers comes with full extension ball bearing slides and recessed hinges. Each drawer is dovetailed and assembled manually. No particleboard, formaldehyde or soy based products are used in this fine bedroom furniture, just solid wood.Available unfinished… or with two coats of hand-rubbed organic linseed oil stain. This is bedroom furniture to the highest level. Bedroom Features for the Chest of drawers.